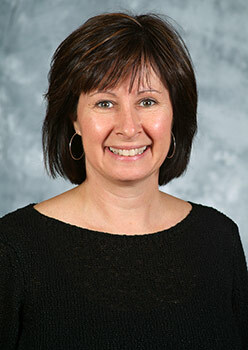 Dr. Sally Barton-Arwood joined the faculty at Belmont in 2006. She holds a Bachelor’s Degree in Psychology from the University of Tennessee and Master and Doctoral Degrees in Special Education from Peabody College at Vanderbilt University. Dr. Barton-Arwood brings over 30 years of experience in the field of education at K-12 and University levels. She has served in leadership roles as president of the Tennessee Association of Independent Liberal Arts Colleges of Teacher Education and vice-president of the Tennessee Council for Exceptional Children. Known as “Dr. B.” to her students at Belmont, she teaches a First Year Seminar course as well as undergraduate and graduate courses about diverse Learners, classroom management, and data-based decision making in K-12 settings. She is also the faculty advisor for the Best Buddies Belmont student organization where Belmont students have the opportunity to build friendships with individuals with intellectual and developmental disabilities. Dr. B. and her students work extensively in the community addressing issues of equity and inclusion for individuals with disabilities. Because of this work, Dr. B. was the recipient of a 2016 Harold Love Outstanding Community Service Award presented by the Tennessee Higher Education Commission. Dr. B. areas of interests and scholarship include positive behavior supports, service-learning, teacher preparation, and teacher collaboration. She is an active presenter at state, national, and international professional conferences.